Our Mission: Compassionate service to people with mental health challenges and to their families, within and beyond the walls of our congregation. Our Vision:to increase their hope, knowledge, and insight and help them find a sense of meaning in their lives. Our Strategy:using fellowship, education, advocacy in the public arena, and honoring and deepening their spiritual lives. The Caring Congregation Curriculum for congregations. Workshops, Webinars and Classes on mental health. Barbara is Assistant Director of the Reaching Across organization, a peer-run mental health center in Fremont. 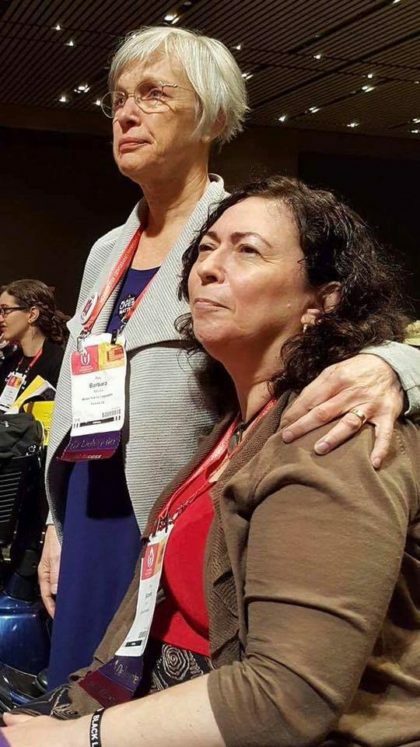 Social Justice: Barbara is pictured with Rev. Suzanne Fast during a disability-related vote at General Assembly 2017. Rev. 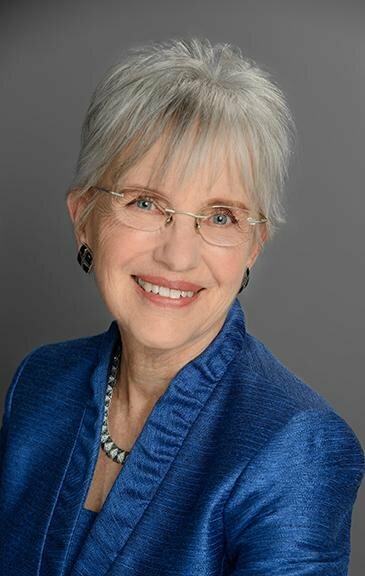 Barbara F. Meyers, a member of our church since its founding in 1994, earned a Masters in Divinity from Starr King School for the Ministry in Berkeley in 2004 and returned to Fremont to launch a community ministry specializing in mental health. The Mental Health ministry has close ties to the Mental Health Caucus, of EqUUal Access a UU accessibility group. 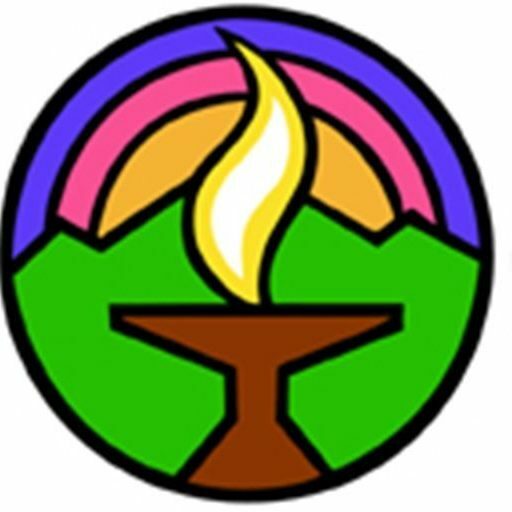 For more information about Unitarian Universalist Community Ministry, see UU Community Ministry. Rev. Barbara Meyers can be reached by email at com_minister @ mpuuc.org.